Flow Cytometry is a really cool method of analyzing and sorting cells. It utilizes the integrated technologies of lasers, fluid hydraulics, piezoelectrics, computer graphics, fluorochemistry, and immunobiology, to tell a story weaving together cell cycles, cell surface markers, chemistry, genetics, physiology, and morphology of individual cells in cell populations. Essentially any cell or cell sized particle can be analyzed for its scatter and fluorescent properties and then sorted by those parameters to separate it from a heterogeneous population. These scatter and fluorescent measurements can give quantitative as well as qualitative information on the levels of a given molecule on or in individual cells which are then correlated together to reveal statistical clusters of characteristics among all the cells in a given population. 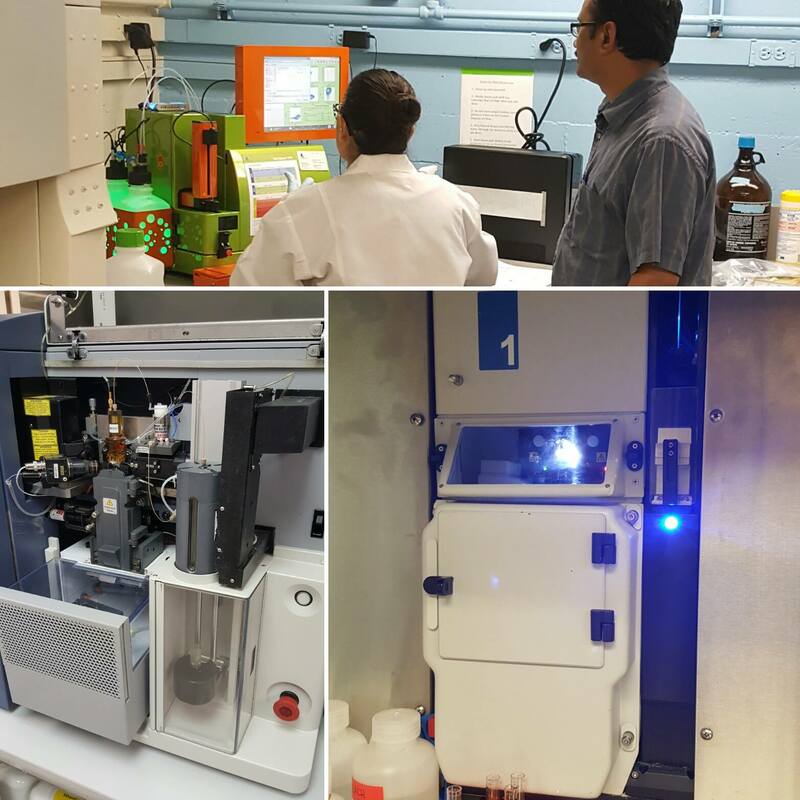 The Caltech Flow Cytometry & Cell Sorting Facility is a multi-user facility which provides expert assistance and advanced instrumentation to researchers for analyzing and separating various types of cells according to their measurable properties.